The 4th PINK Concussions International Summit on Female Brain Injury PINK 4 will be held in Rome, Italy, on Saturday, 23 September 2017. PINK 4 will focus on girls and young women under the age of 25, as well as spotlight Post Concussion Syndrome in females from an international prospective. The summit will be hosted by the International Paediatric Brain Injury Society IPBIS as a post-conference event. To register and for more info about hotels and discount travel, see the event website. Dr. Audrey McKinlay is a Senior Lecturer in the Clinical Psychology training programme in the Melbourne School of Psychological Sciences at the University of Melbourne in Victoria, Australia. Audrey’s research expertise is in traumatic brain injury, with a particular focus on early childhood injuries, and the long term and adult outcomes of childhood mild TBI. Dr. McKinlay leads a number of large funded projects investigating outcomes for children and young people following TBI, conducted in both Australia and New Zealand, where she is an Adjunct Research Fellow at the University of Canterbury in Christchurch, New Zealand. Audrey is also investigating the support needs of educators working with children who have experienced a TBI, and collaborates with colleagues in the US and UK on this work. Older people’s health is also a focus of Audrey’s research, with a particular interest in TBI and Parkinson’s disease. Audrey is a registered psychologist in both Australia and New Zealand, and endorsed in both Clinical Psychology and Neuro Psychology, where she works with children and young people who have experienced TBI, and their families. Dr. McKinlay is a founding board member for the International Paediatric Brain Injury Society. Christopher Giza graduated from Dartmouth College, received his M.D. from West Virginia University and completed his training in Neurology at UCLA. He then worked on the Yosemite Search and Rescue team before joining the UCLA Brain Injury Research Center in 1998. He founded and directs the UCLA Steve Tisch BrainSPORT program, and also serves as Medical Director for the Operation MEND-Wounded Warrior Project mild TBI program. Dr. Giza co-chaired the American Academy of Neurology’s evidence-based guidelines for sports concussion, and was subcommittee chair on the CDC youth mild TBI guidelines and the International Consensus Conference for Concussion in Sport (Berlin guidelines). He currently serves on advisory committees for TBI/concussion with the NCAA, NBA, Major League Soccer and US Soccer Federation, and has been a clinical consultant for the NFL, NHLPA, MLB and MLS. Dr. Rhea serves as the director of the Virtual Environment for Assessment and Rehabilitation Laboratory (VEAR Lab) and teaches courses in biomechanics, movement variability, and research methods. Dr. Rhea received his B.S. in Physical Education from the University of Central Missouri (2002), M.S. in Movement Science specializing in sports biomechanics from Barry University (2004) and Ph.D. in Motor Behavior specializing in biomechanics from Purdue University (2009). Prior to joining the UNCG faculty, Dr. Rhea was a Visiting Scholar at Brown University, while concurrently working as a Research Health Scientist at the Providence VA Medical Center (2008-2010). Dr. Rhea's primary research interest is the control of locomotion and balance. Dr. Rhea's research is separated into two themes; assessment and rehabilitation. In the assessment domain, Dr. Rhea's research team is exploring novel ways to quantify a person's functional mobility level. Clinical science is typically confined to subjective, course grained assessment of a patient's ability, making the accurate prescription of a rehabilitation program difficult. To this end, Dr. Rhea's research team is exploring how nonlinear dynamics can be used to index a patient's ability level. Furthermore, Dr. Rhea's team has utilized smartphone technology as an assessment tool by creating an Android-based app to identify neurological dysfunction from movement patterns. Once the patient's functional level has been identified, Dr. Rhea's research team develops novel rehabilitation practices using virtual reality (VR) technology. Dr. Rhea created the Rehabilitation Engagement Visualized In Virtual Environments (REVIVE) project (patent pending), which uses avatars and other virtual environments to assist in the re-development of a patient's walking ability. Christina L. Master, MD: Dr. Master is Associate Professor of Clinical Pediatrics at the University of Pennsylvania Perelman School of Medicine and Associate Program Director of the Primary Care Sports Medicine fellowship at CHOP with over two decades of experience in clinical pediatrics. 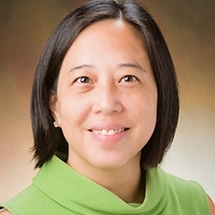 She was Vice Program Director of the Pediatric Residency Program at The Children’s Hospital of Philadelphia for 17 years and subsequently completed a sabbatical year of fellowship training in primary care sports medicine at The Hospital of the University of Pennsylvania. Dr. Master is board-certified in pediatrics and brain injury medicine with additional qualification in sports medicine and treats over a thousand youth with concussion annually in her outpatient practice. She is co-founding director of Minds Matter, the concussion program for children at CHOP that provides clinical care, community outreach and conducts research in youth concussion. Her particular research emphasis has been describing the epidemiology of pediatric concussion and identifying vestibular and visual deficits following concussion as a target for intervention for those with prolonged symptoms. She is the founding course director for the Minds Matter Concussion Conference, an annual update for an interdisciplinary audience on concussion care for children. She enjoys playing the piano, running, swimming and cycling and has completed marathons in Munich, Philadelphia, Budapest and NYC as well as a few triathlons at the sprint and olympic distances. She is the mother of three busy children. David Wang MD, MS is a sports medicine trained physician who currently works at Connecticut Children’s Medical Center as the Medical Director of a multidisciplinary sports medicine clinic. His passion is serving and understanding the needs of all athletes. His also serves as Medical Director for the first concussion clinic in New England and head team physician at Quinnipiac University. Current research interests are in prolonged symptoms following sports-related concussions, education, and contributing to a cultural change surrounding concussions in sports. UNC Greensboro - Donna earned her B.S. and Ed.M from Boston University and her Ph.D. from UNC Greensboro. Currently, Donna is an Assistant Professor in the Department of Kinesiology and the Director for the Program for the Advancement of Girls and Women in Sport and Physical Activity in the Center for Women's Health and Wellness at UNC Greensboro. Donna's professional efforts center on her area of research, which is steeped in the neuromotor and neurocognitive implications of concussions among female athletes. Donna is the Co-PI on the Female BRAIN Project at UNCG and is the PI on the True Baseline Project, both of which are focused on girls, women, sport participation and concussive experiences. Donna is the Past-President of the Board of Directors for the YWCA of Greensboro. Donna also serves on the YWCA World Service Council and is on the Board of Advisors for the Women's GridIron Foundation and the National Coalition Against Violent Athletes. To understand the mechanisms transforming an initial acute biomechanical injury into a chronic and progressive pathology. To understand the heterogeneity of TBI and identify biomarkers for acute brain injury. To interfere with injury evolution by reducing toxic events and fostering the endogenous reparative response. Dr. Gioia is the Division Chief of Pediatric Neuropsychology at Children’s National Health System, where he directs the SCORE Concussion Program. He is Professor of Pediatrics and Psychiatry at the GWU School of Medicine. As a researcher, he has multiple interests including the development of post-concussion clinical/research tools to identify injury manifestations and track recovery in children. He has worked with the CDC on their “Heads Up” concussion educational toolkits and is a principal author of the “Heads UP: Brain Injury in your Practice” toolkit for healthcare providers. Dr. Gioia has participated in the International Concussion in Sport Group Consensus meetings, American Academy of Neurology Sports Concussion Guideline panel, and the CDC’s mild TBI guideline development. He works with the Washington Capitals, Baltimore Ravens, and many high school and youth sports organizations. Dr. Gioia is President-elect of the Sports Neuropsychology Society. He is a former high school and college football player and played rugby in college and graduate school. His three adult children were active in sports throughout their childhood. 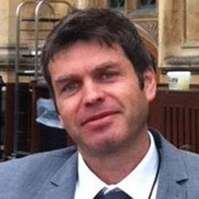 Huw Williams is an Associate Professor of Clinical Neuropsychology and Co-Director of the Centre for Clinical Neuropsychology Research (CCNR) at Exeter University. He has a PhD and a Doctorate in Clinical Psychology from the University of Wales, Bangor. He was on the founding staff team of the Oliver Zangwill Centre (OZC) for Neuropsychological Rehabilitation in Ely and Visiting Scientist at the Cognition and Brain Sciences Unit in Cambridge. Current projects include: tracking effects TBI and Stress Disorders (in A&E, Military and refugee groups), Computerised Neurocognitive testing of MTBI, DTI/VBM neuroimaging of elite concussed rugby players; affect processing in young offenders; improving access to interventions for young and vulnerable offenders to psychological support. He is the past Chair of the Division of Neuropsychology of the British Psychological Society, and is currently vice Chair of the DON Policy Group and Chair of the BPS working group on Neurodisability and Offending Behaviour. He established, with Child Brain Injury Trust (CBIT) and Lord Ramsbotham, the Criminal Justice and Acquired Brain Injury Group (CJAABIG). He has had advisory roles with various organisations, including England RFU (2014). Dr. Isabelle Gagnon is a clinical scientist in the Trauma Center of the Montreal Children’s Hospital and Associate Professor in the School of Physical and Occupational Therapy of McGill University. Her research interests have focused on the consequences and on the management of mild traumatic brain injuries or concussions in the pediatric population. More specifically, she has investigated sensorimotor outcomes in children and adolescents and how these can impact return to physical activities and self-confidence after traumatic injuries. Her work has also examined intervention programs and service organization for children and adolescents after a traumatic injury. Dr. John J. Leddy is Professor of Clinical Orthopedics and Rehabilitation Sciences at the University at Buffalo Jacobs School of Medicine and Biomedical Sciences, a Fellow of the American College of Sports Medicine and of the American College of Physicians, and Director of Outcomes Research for the Department of Orthopaedics. He is a Division 1 team physician and Program Director for the Sports Medicine Fellowship at the University at Buffalo. 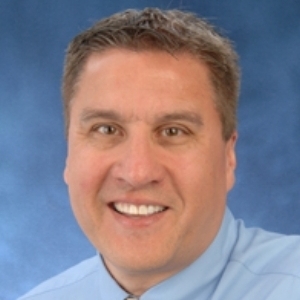 He is the Medical Director of the University at Buffalo Concussion Management Clinic. In conjunction with Dr. Barry Willer, he developed the Buffalo Concussion Treadmill Test, which is the first functional physiological test used to establish recovery from concussion and to develop exercise programs for the rehabilitation of patients with prolonged concussion symptoms. Dr. Reed completed his Bachelor of Kinesiology at McMaster University in Hamilton, Ontario, his Masters of Science in Occupational Therapy within the Department of Occupational Science and Occupational Therapy at the University of Toronto, and his PhD within the Graduate Department of Rehabilitation Science at the University of Toronto. Currently, Dr. Reed is the Co-Director of the Concussion Centre at Holland Bloorview Kids Rehabilitation Hospital and a Clinician Scientist within the Bloorview Research Institute. His work focuses on developing, delivering and evaluating research, educational and clinical programming specific to youth and concussion. Dr. Reed is also an Assistant Professor within the Department of Occupational Science and Occupational Therapy and the Rehabilitation Sciences Institute at the University of Toronto. Rosemarie Scolaro Moser, PhD, ABN, ABPP-RP is a neuropsychologist and director of the Sports Concussion Center of New Jersey and the RSM Psychology Center, LLC in Princeton, New Jersey. She serves on the U.S. Centers for Disease Control and Prevention (CDC) Expert Panel on Pediatric Mild Traumatic Brain Injury and is a co-author of the International Consensus Conference on Concussion in Sport Berlin 2016 youth guidelines. Dr. Moser is an active scientific researcher, a pioneer in the assessment and treatment of youth concussion since the 1990s, and the author of Ahead of the Game: The Parents’ Guide to Youth Sports Concussion (Dartmouth College Press). She works with youth, school, amateur, and professional sports teams, including arena football, ice hockey, lacrosse, and cheer. She is an adjunct professor at the Widener University and has served as the President of the New Jersey Neuropsychological Society, the President of the New Jersey Psychological Association, and Board Member of the National Academy of Neuropsychology. She has received the American Psychological Association Presidential Award for Advocacy in Psychology and has been recognized with “Top Doc” and “Best of Fitness” distinctions by Suburban Life Magazine, Philadelphia. Dr. Moser appears in the public television (PBS) documentary, The Smartest Team-Making High School Football Safer. Dr. Ron Savage has worked with children, adolescents and young adults with neuro-developmental disabilities (i.e., acquired brain injuries, autism, developmental disabilities and other neurological disabilities) for over 40 years. He is currently the President of the Sarah Jane Brain Foundation. Dr. Savage is also Chairman and Co-Founder of the International Pediatric Brain Injury Society (IPBIS). He is the immediate Past Chair of Chairman of the North American Brain Injury Society (NABIS) and Editor of Brain Injury Professional. He is on the Board of Governors for the International Brain Injury Association (IBIA). Dr. Savage served as Executive Vice President for the Bancroft Neurosciences Institute and directed the pediatric services division for Bancroft NeuroHealth in New Jersey. He is the former Senior Vice President of Behavioral Health and Rehabilitative Services at The May Institute in Massachusetts and the former Director of Clinical Services for Rehabilitation Services of New York. Dr. Savage has taught at the elementary and secondary school level as a special educator, as well as positions at several colleges and universities including Professor of Education (tenured) at Castleton State College, Clinical Professor of Neurology at the University of Medicine and Dentistry of New Jersey, and Associate Professor of Psychology at Rutgers University. He also held adjunct academic appointments at Tufts University, Department of Rehabilitation Medicine; Northeastern University, Department of Psychology; and The George Washington University, School of Education. Dr. Savage served on the Editorial Board of the Journal of Child Neurology. He was a Founding Member and Chief Examiner of the Academy for the Certification of Brain Injury Specialists (ACBIS). 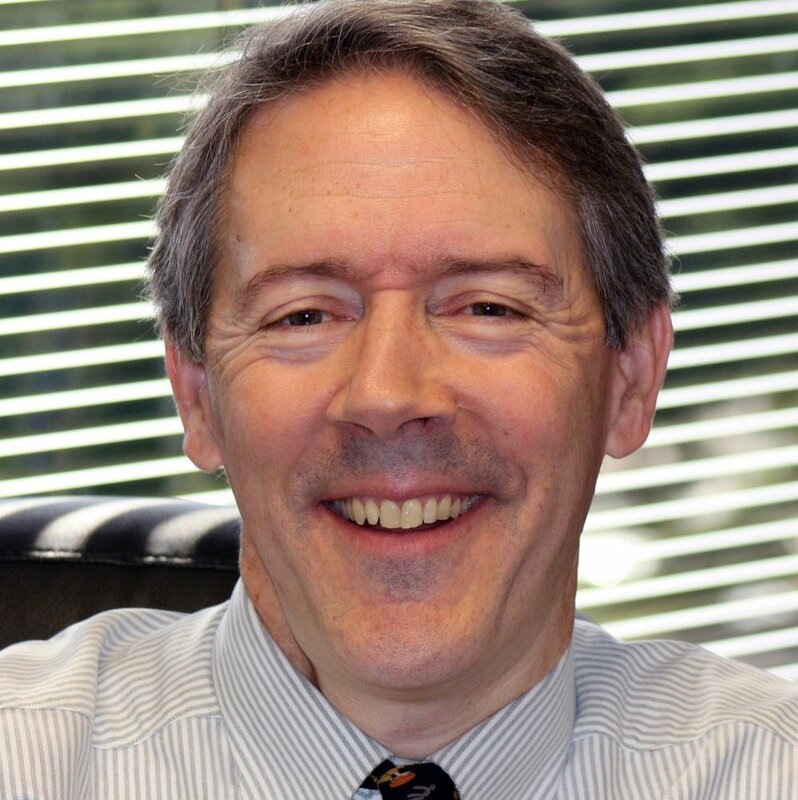 Dr. Savage is the former Chairperson of the Pediatric Task Force for the Brain Injury Association of America; the past Co-Chairperson of the International Pediatric Task Force for the International Brain Injury Association; and serves on several professional advisory boards across the country. In 1989-90, Dr. Savage spearheaded the campaign to include traumatic brain injury (TBI) in Public Law 101–476: Individuals with Disabilities Education Act. He also worked with the Emergency Medical Services for Children (EMSC) training programs; the Office of Special Education and Rehabilitation Services of the United States Department of Education; the Professional Advisory Task Force for the National Council on Disability for the United States Congress; and the advisory board for the Traumatic Brain Injury Act. To register and for more info about hotels and discount travel, see the event website. Three International PINK Summits on Female Brain Injury have been produced by PINK Concussions in the last 18 months. We are so thrilled to have such wonderful speakers and hosts in Rome and we hope to live feed most of the conference.